Atria Hotel Serpong is strategically located at city centre with easy access to nearby places of interest which allows guest to travel around without long distance transport. 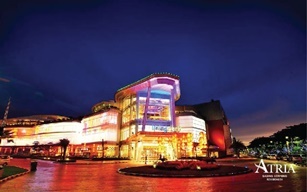 Summarecon Mal Serpong is a unique shopping center, magnificent and clad in luxury that can deliver a more pleasant shopping experience than usual for the people of Serpong, Tangerang, and beyond. 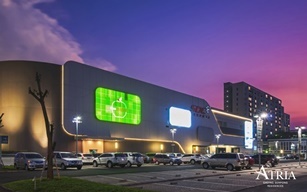 Along with the rapid development of the region, Summarecon Serpong is equipped with Sentra Gading Serpong as an integrated 17ha business and commercial center developed since 2004, consisting of Summarecon Mall Serpong, Food City Salsa Food Center and Sinpasa Modern Market. Add a backdrop of spectacular Indonesia clubhouse architectures and landscaping. Mix into the contours hundreds of tropical colorful shrubs. 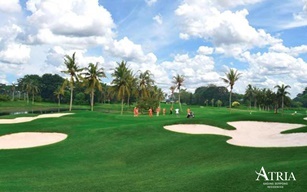 Stir in an exclusive ambience of private club and you have the recipe for Gading Raya, a different kind of Golf and Country club. (SDC) Scientia Digital Center is the digital commercial provider of all information technology needs as diverse that computer kit, gadgets, and also mobile and other technology. SDC Serpong have broad 32.395,21 m2 area, consisting of 3rd floor and 1 basement. 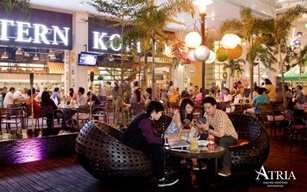 The location of strategic Summarecon in the area serpong, accesed very easily and having immensely potensial market because surrounded by a residential area, education and commercial integrated a rapidly. 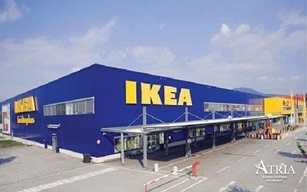 IKEA is a furniture retailer for households from Sweden. In the winter of 2004, there were 364 IKEA stores in 46 countries around the world. The local products will be marketed by IKEA to the international market. The IKEA Concept starts with the idea of providing a range of home furnishing products that are affordable to the many people, not just the few. It is achieved by combining function, quality, design and value - always with sustainability in mind. The IKEA Concept exists in every part of our company, from design, sourcing, packing and distributing through to our business model. Our aim is to help more people live a better life at home. It is the biggest convention and exhibition centre in Indonesia. Convention Exhibition (ICE) is a new emerging destination of the MICE industry in Indonesia. 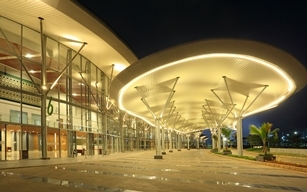 The venue is designed to be the most spacious exhibition and convention center in Indonesia. It offers flexibility to facilitate a full range of business events simultaneously additional to the core business of meetings, incentives, conventions and exhibitions.